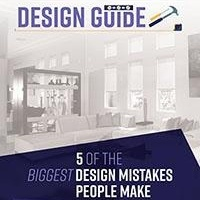 Last year, IKEA, the world's leading home furnishings retailer, opened doors to their Las Vegas location. This was the Swedish company's first store in Nevada and marked their biggest push yet into the Southwestern United States. 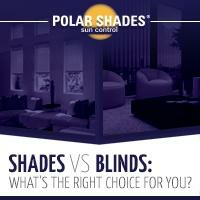 At Polar Shades, we are proud to have been -- and continue to be -- a part of their exciting operations. In line with the company's dedication to energy efficiency, the 351,000 square-foot IKEA was built with a full rooftop solar array (the largest retail use in Nevada) and outfitted completely with Polar Shades' window treatments. In fact, this location is the single biggest store ever built in Southern Nevada and thousands of customers, public officials, and contractors rushed to check it out on its opening day in May 2016. "This is really the most exciting part -- to see public officials expressing appreciation, customers so thrilled to be here, the excitement of our coworkers who didn't have jobs with IKEA six to nine months ago, and to see the building evolve into a place where people will have jobs and thousands of people will shop," Joseph Roth, a public affairs manager with IKEA told the Las Vegas Review-Journal. 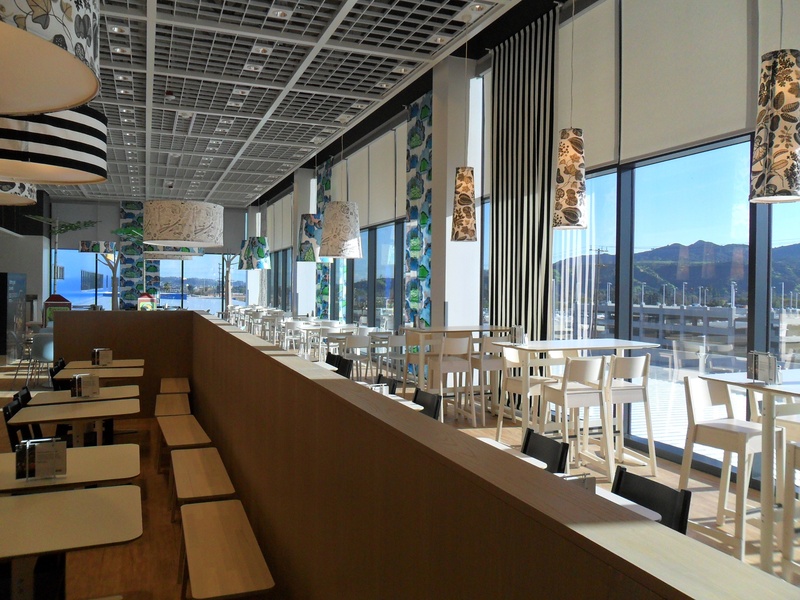 "It's another store in the global family of IKEA. It's very gratifying." Likewise, it's been very gratifying for us at Polar Shades to be a part of the construction of this new Las Vegas entity. Especially with products that align so closely with IKEA's mission of sustainability and energy-efficiency. Our window shades, when properly installed by professional technicians, represent one of the simplest and most effective window treatments available to consumers for conserving energy. That's because interior window coverings are capable of providing shade while simultaneously blocking as much as 98% of the solar heat rays that contribute to excessive interior heat gain. This has great impact in sunny and arid climates like that of Nevada. According to the American Society of Heating & Air Conditioning Engineers, as much as 20% of a building's air conditioning load is caused by the solar radiation that radiates through a building's windows. 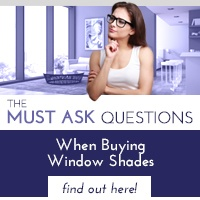 Polar Shades' window treatments are an excellent first line defense against this. Which is why Las Vegas' new IKEA isn't the only location we have installed our window treatments in. 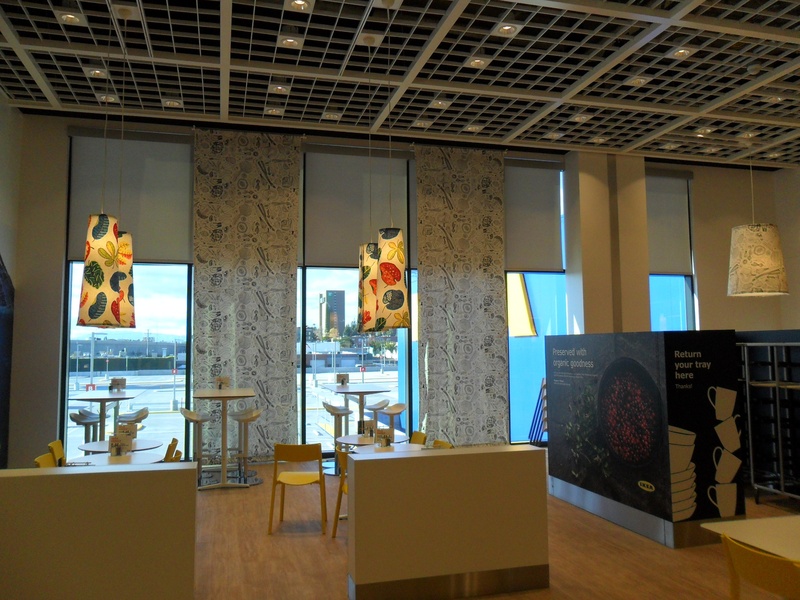 IKEA also contracted us for locations throughout California and Washington to install window shades for purposes of shielding windows and improving in-store energy efficiency. In addition to offering the huge benefit of solar production and reduced solar heat gain, our solar fabrics are specially made to preserve outdoor views and filter in natural light while providing effective solar protection. We offer both lighter color fabrics that permit more natural light and darker color fabrics that permit a more transparent view to the outdoors. For total light blockage, complete glare control, and the ultimate in window privacy, opt for our blackout fabrics. 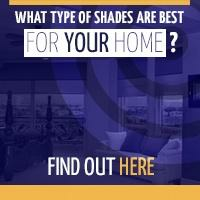 When looking to install new window shades in your home or business, turn to Polar Shades. For more information about our products, installation, and commercial partnerships, contact us today for a free in-home consultation at 702-260-6110.